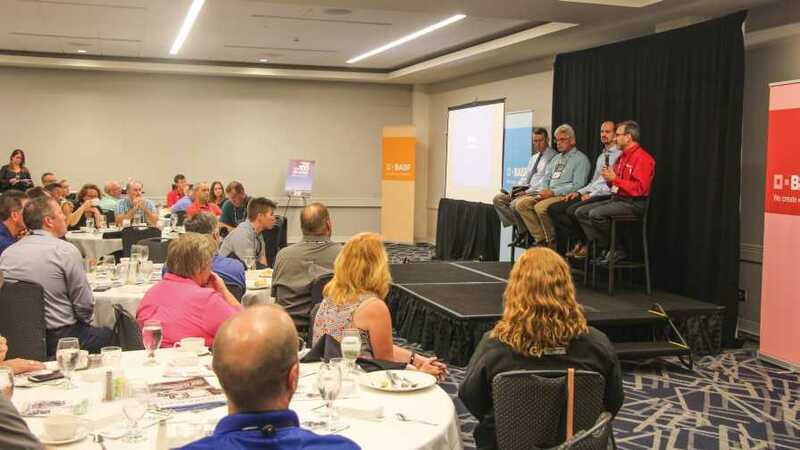 In addition to labor challenges, the four-person panel at the Top 100 Growers breakfast during Cultivate’18 covered topics such as immigration reform, automation, and artificial intelligence. 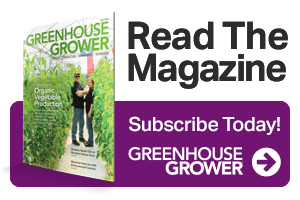 Based on feedback from Greenhouse Grower’s Top 100 Growers survey, 89% of growers say labor is a top concern, and 82% say the availability of skilled labor is an issue, too. About 20% of these growers are using the H-2A program, and 47% of the Top 100 say they will look into guest worker programs in the coming year. So what can you do to be proactive about finding the labor you need? For starters, you can follow the advice from a few industry veterans who tackled this never-ending issue at Greenhouse Grower’s Top 100 Growers Breakfast during Cultivate’18. Here are five tips to help you navigate these unchartered waters. 1. You can’t wait for help from Capitol Hill. Do what you can to build better careers. Craig Regelbrugge, Senior Vice President at AmericanHort, told those in attendance that there is concern with how immigration is being handled by the Trump Administration and Congress. “We are trapped, in a sense, in a dynamic where Congress will not successfully move any aspect of immigration reform before they resolve the status of the young people we refer to as the DACA (Deferred Action for Childhood Arrivals) recipients,” Regelbrugge said. He added that very few DACA recipients are in the greenhouse and nursery industries, though many employees’ children likely are DACA. Regelbrugge also advised growers to do everything they can to build better careers and to hire American workers. In the absence of a good legislative opportunity now, Regelbrugge said he is cautiously optimistic about the H-2A visa program regulatory reform initiated after growers had met with President Trump in the spring of 2017. He said growers sat down with the President and discussed their specific issues and the collective need for a workable guestworker program. 2. Don’t ignore what isn’t working. Rob Lando, CEO of AgriNomix, said to look closely at production lines to identify unnecessary touches in the greenhouse. Too many production lines are not fine-tuned for today’s container assortment. For example, he said it’s all too common for workers to be needed at transition points between conveyors to ensure pots don’t topple over, and that has to stop. “The amount of time we spend actually producing versus changing-over has increased significantly, so there may be 11 people on the line who are just standing around because we don’t make those changeovers happen quickly enough,” he said. “New production lines are more efficient for those types of changes and can eliminate touches, resulting in real labor savings and headcount reduction,” Lando added. 3. You are competing for labor, as well as to customers. Provide decent conditions for workers and take away as many difficult tasks as possible. People will drive a forklift, but you can’t find workers to lift containers off a cart and place them on the floor, Lando said. People don’t like to do this type of work and it needs to be eliminated. Lando also recommended using tools that can improve quality while increasing production rates. For example, AgriNomix sells dibblers, which Lando called rudimentary, but the company sells more dibblers than anything else because the dibblers make plant placement easier for inexperienced workers. It’s all about adapting to the realities of today’s labor climate, he said. 4. Automate and simplify where you can. Skagit Horticulture, north of Seattle, WA, has been making strides implementing automation and is part of the Pacific Northwest-based Consortium on Lean Flow. Mark Buchholz, company President, said the company’s success in Lean is based on a combination of process focus, installing operating discipline, and putting in place those systems that keep Lean in place, like dashboards and reporting. To make this all happen, Skagit automates where it is possible, which requires the operation to simplify where it can in terms of SKU counts, multiple sizes, and product configurations. 5. Work toward integrating and operating together, and artificial intelligence can help you get there. Adam Greenberg, Co-Founder and CEO of iUNU, was quick to say artificial intelligence (AI) isn’t going to take away anyone’s job. Where AI is helpful is remembering what happened last year in producing your crops versus this year. Thanks to high turnover, it is critical to hold on to the tribal knowledge of crop production from year to year, he said. Unlike a decade ago when many disparate systems were used, Greenberg said going forward, integration will be key. “The focus will be on the efficiency of the operation and everyone integrating and operating together,” he said. 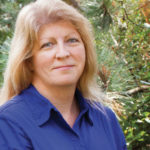 Rosemary O. Gordon ([email protected]) is Editor of Grower Programs and Events for Meister Media Worldwide. See all author stories here.